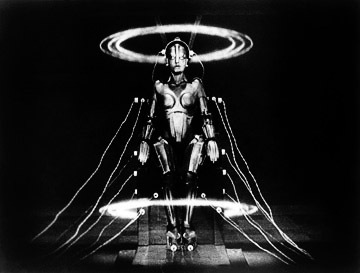 “The resurrection of Fritz Lang’s 1927 silent futuristic thriller follows the discovery in Buenos Aires two years ago of key scenes that were thought lost forever on the cutting room floor. The homecoming is being celebrated with simultaneous, orchestra-accompanied screenings tomorrow evening across Germany. Key scenes were cut from the original picture because its distributor, Paramount, considered it too unwieldy for the American market. Protagonists were given new, American names, the insert titles were rewritten and scenes re-edited to keep the action comprehensible after the 30-minute cuts. The tampering appalled Fritz Lang, who described Paramount’s intervention as “mindless and dictatorial”. The cut footage was thought to have been lost, until 2008 when an Argentinian film historian began to search for it. In the archives of the Museo del Cine, Fernando Martin Pena tracked down a 16mm dupe negative copy of the original 35mm export version. It had been sent to Buenos Aires before Paramount made the chop. Today’s cinephiles will be able to see the version that experts have spent months restoring. But it still shows the cuts and mutiliations the missing parts have suffered over the past eight decades. Indie Rock Meets... Bette Davis?